It was the day after my daughter’s fourth deathday. Marika has a birthday and a deathday. They are each opportunities to celebrate the life that happened in between. The day was filled with friends who called, emailed, facebooked, and feasted on sushi. It was an uplifting time. But the day after, the sky caved in. “This isn’t working for me. The Internet search didn’t help. I need to be spoon-fed some information here. I’m struggling,” I said in my photography class where I’m putting together a series of basic Photoshop lessons to share with hospital patients, people healing from loss, and parents of teens living with cancer. I was cranky and couldn’t think. Everything was a headache. “Can we talk in terms of solutions rather than problems?” asked Kathy, the photography instructor. It felt like I’d been hit hard on my head. Right away I recognized my negativity, a trait I dislike and try to stifle. “Keep coming back to what you love,” she said a short while after. And I almost cried. So I ‘shopped a picture of my sisters eating decadent desserts. I wrote up a handout sheet to teach a cool Photoshop technique. And then I did what I’ve only allowed myself to do on events like deathdays: I went back to the snapshots of my daughter. Marika’s hazel eyes always fascinated me. They pouted, “Why can’t we have sushi for dinner two nights in a row?” They sneered, “Way to go mom. You just exposed yourself all over the Internet.” She smiled mischievously when I asked where my chocolates went. She blasted, “Go fall off a mountain” and “Go drown yourself,” and rolled her eyes at almost everything I said. But something in me soared each time she came home. Kathy’s words followed me home from class and stuck with me the next days as I assured myself I could “come back” to my daughter any time I want. So now I invite all my friends who get stuck listening to a world that tells them to “move on” and “get over” what dies, to “keep coming back to what you love.” It’s like snuggling in a warm quilt for a while. It can bring back sweet energy to propel you forward. 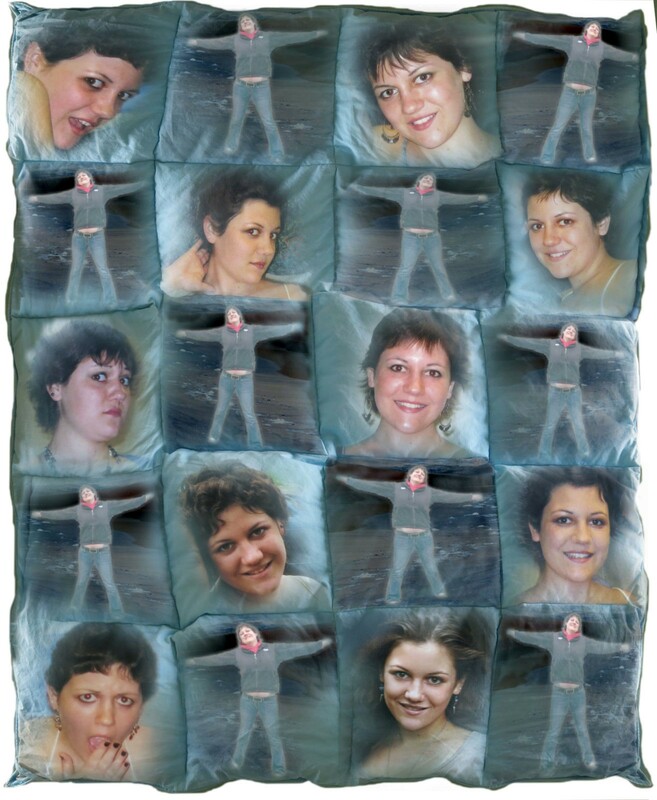 This entry was posted in 2014 and tagged Anniversary of Death, getting over loss, loss as part of life, Quilt of Love, rebuilding life after loss, remembering lost loved ones, What I Love, what you love on 2014/03/10 by Robin Botie.